Ernest Roy Johnson, 73, of Newark, died Wednesday, February 27, 2019 at his home. He was born February 25, 1946 in Boston, MA to the late Hugh and Laura (Long) Johnson. Ernest was a proud U.S. Navy Veteran. He was an artist, crafter, specialized in building bird houses, a writer, and a published author. He is survived by his wife, Imogene; daughter, Brenda Wilson; grandchildren, Philip Johnson and Rose Totten; two step daughters, Tracey Flanagan and Atida Stuck; five step grandsons; one step granddaughter; one sister, Carol Wiser of Dickson, TN; best friend and fishing partner, Dan Scarberry, and the people of World Global Ministries. In addition to his parents, he was preceded in death by daughter, Lori Johnson; sister, Marilyn Johnson; and step son, Jackie Paul Chidester. Family will receive friends from 5-7 p.m. Monday at Brucker and Kishler Funeral Home, 985 N. 21st St. Newark. A graveside service will be held at 11 a.m. Tuesday at Cedar Hill Cemetery, where military honors will be conducted by the Licking County Veterans Alliance. A memorial service will be held at 12:30 p.m. Tuesday, at World Global Ministries, 69 King Ave. Newark, with Pastor Michael Swartz officiating. Bernard B. “Brownie” Brown, age 75, of Newark, passed away on Wednesday February 27, 2019 at the Selma Markowitz Care Center. He was born on July 22, 1943 to the late Adrian and Letty (Harris) Brown in Crooksville, OH. Brownie proudly served his country as a member of the US Navy during Vietnam. He retired from Newark Air Force Base and Boeing. 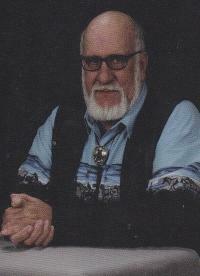 Brownie was a long time member and Elder of Northside Church of Christ and was a friend to everyone he met. 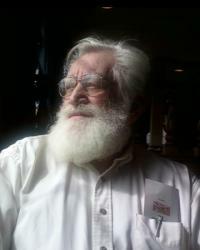 He is survived by his sons, Keith Brown and Jim (Shari) Brown; step-daughters, Marcella Henry, Lisa (Mike) McDonald, Lori (Kelly) Brocklehurst, Leslie (Tom) Harris, and Amy (Marty) McGlone; 16 grandchildren; 16 great grandchildren, with two more on the way; siblings, George Brown, Brady (Linda) Brown, Steve (Teresa) Brown, Edna Crago, and Ron (June) Harbaugh. He also leaves behind several nieces and nephews. In addition to his parents, Brownie is preceded in death by his loving wife of 34 years, Elizabeth Brown; brothers, Miles and Myron Brown; and step-son, Terry Wise. Calling Hours will be held on Sunday, March 3, 2019 from 2-4pm at Brucker Kishler Funeral Home, 985 N. 21st Street, Newark, Oh 43055. A funeral service will be held at 10am on Monday, March 4, 2019 at Northside Church of Christ, 4427 Marion Rd NE, Newark, OH 43055, where the Licking Country Veteran’s Alliance will provide military honors. Brownie will be laid to rest at Newark Memorial Gardens following the service. In lieu of flowers, donations may be made to Hospice of Central Ohio, PO Box 430, Newark, OH 43058. 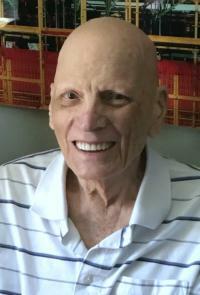 Robert Emory “Bob” Wright went home to be with his Lord and savior on February 26, 2019. Bob was born in Newark on March 18, 1938 to Emory Wright and Atta (Casteel) Wright. He was a 1957 graduate of Newark High School, and a proud member of the Army National Guard. Bob was employed by Rockwell, Kaiser and Roundy’s Trucking Service. A lover of music, Bob acquired a large collection of blue grass, 50’s, country and Christian music, and taught himself to play guitar. An avid photographer & videographer. Bob loved capturing memories at every holiday and on special occasions. His favorite subject was his loving wife Pauline whom he married on Valentine’s Day 1993. A deeply religious man, Bob was a member of the Family of God all of his life. His special ministry for years was publishing the word of God for parishioners and shut-ins (and included with his cds was his famous homemade ice cream or fudge.) This ministry brought great delight and joy to the hearts of many souls. In their earlier years Bob and his Wife traveled throughout the country. Visiting family, friends and many sites. They were full of life! Bob was loved by all who knew him and our loss was heaven’s gain and he will be missed greatly. Bob is survived by his wife, Pollie, his children Michelle (Greg) McCarty, Annette Kinnon, and Andrew (Tonya) Wright. Step-children Todd (Kay) O’Dell, Tammie Landis, Tawna England and Tiffany Allen. 16 grandchildren, and 25 great-grandchildren. His sisters Carol Stalnaker, Wanda (Jack) Patterson, and Melody (Dennis) Diamond. Bob was preceded in death by his parents, and his son Robert “Bobbie”. Bob wanted to say a very special thanks to his loving family and friends, his nurse Brooke, his aide Cindy, and his social worker Ruth from hospice, and special friends Gus and Lynn Andrews and Gary McCray. In lieu of flowers donations can be made to Hospice of Central Ohio or the Ohio Disabled American Veterans. The calling hours will be on Saturday, March 2nd at the Church of God, 2181 Riggs Road, from 10am to 12pm with the funeral service immediately following officiated by Brother Rube Gayheart and Preacher Gus Andrews. A graveside service will be held following the service at Smith Chapel cemetery, where Military Honors will be provided by the Licking County Veteran’s Alliance. To sign an online guestbook, please visit www.bruckerkishlerfuneralhome.com. Juanita R. (Flowers) Lynn, 84, of Newark, Ohio died Tuesday afternoon at The Inn at Chapel Grove, after a courageous battle with Parkinson’s disease, with her loving husband and family by her side. Born November 29, 1934 in Newton Township, she was the daughter of the late Lloyd and Ruth (Burrier) Flowers. Juanita was a homemaker. She loved to sing all kinds of music, especially country music, at Flowers Hall. She loved baking pies and cookies for everyone to enjoy, playing bingo and cards, and hosting an annual Lynn’s Picnic every summer for her family and friends. Surviving is her husband of 65 years, Harold L. Lynn, whom she married October 25, 1953; two sons, Steve (Patty) Lynn and Roger (Rosella) Lynn and one daughter, Luca (Victor Messina) DeVault, all of Newark; 5 grandchildren, Brandy (Mike) Waldeck, Levi (Kate Zemba) Lynn, Marshall (Jodi) Lynn, Travis (Gina Depolo) DeVault, Samantha (Steven) Fitzsimmons; and 11 great grandchildren. Also surviving are 3 brothers, 9 sisters, and many nieces and nephews. In addition to her parents, she was preceded in death by two brothers, one sister, several brothers and sisters –in-law, nieces and nephews. The Lynn family wishes to give a very special thanks to Hospice of Central Ohio for all the special care and attention Juanita was given. No calling hours or service will be observed per Juanita’s wishes. A Celebration of Life will be held for family at a later time. Memorial contributions may be made to Hospice of Central Ohio, PO Box 430, Newark, OH 43058. 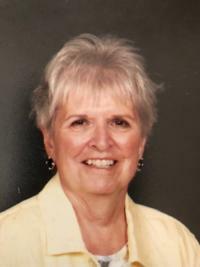 Sally Ann Kennedy, 78, of Heath, died Tuesday, February 26, 2019 at the Selma Markowitz Hospice Center. She was born March 26, 1940 in Newark to the late Albert and Lucy (McKean) Howell. Sally graduated from Newark High School class of 1958. She then earned a Bachelors degree in 1972 from The Ohio State University and her Masters Degree in 1982 from Ohio University. In 1983 she successfully completed her requirements for a Principals Certificate, also from Ohio University. She taught at Lincoln School in Newark for 30 years and then served as the church secretary at Christ Lutheran Church in Heath for 10 years until poor health caused her to resign. Sally was a member of various organizations including: Board of directors for Licking County Chapter of American Red Cross, former member of Alpha Pi Sigma Sorority, Beta Delta Chapter of Delta Kappa Gamma Society, Martha Holden Jennings Scholar, and initiated into Ohio University chapter of Phi Kappa Phi Honor Society in 1980. She was a member of Christ Lutheran Church since 1978. She is survived by her husband of 61 years, Paul C. Kennedy; two children, Scott A. Kennedy and Sue M. (Jeffrey) Maier; four grandchildren, Mallory E. (Scott) Maier Rogers, Brendan P. Kennedy, Jordan T. Maier, and Sean P. Kennedy; and three great grandchildren, Carter, Cameron and Grayson Rogers. In addition to her parents, she was preceded in death by sister, Roberta J. Luckeydoo; brothers-in-law, Charles Buxton and Ronnie “Pete” Luckeydoo; and daughter-in-law, Erin Kennedy. Memorial contributions may be made to Hospice of Central Ohio, P.O. Box 430, Newark, OH 43058 and/or Christ Lutheran Church, 732 Hebron Rd., Heath, Oh, 43056. Visitation will be Friday from 10-11 AM at the Christ Lutheran Church, 732 Hebron Rd., Heath, where a memorial service will follow at 11:00 AM. A Memorial Service for Willard D. Thompson, Jr. will be held at 11am, on Saturday March 2, 2019, at the Brucker-Kishler Funeral Home in Newark. Pastor Dan McLaughlin will officiate. Family and friends may call from 10am, until the 11am service time, at the funeral home, 985 N. 21st Street. Inurnment will be in Wilson Cemetery at a later date. Mr. Thompson, age 83, of Newark, passed away Tuesday, February 26, 2019, at his home. He was born March 9, 1935, in Zanesville, a son of the late Willard D. and Viola (Wolfe) Thompson, Sr. He was a retired foreman at Rockwell. An accomplished woodworker, he also enjoyed camping, fishing and canoeing. A man of faith, he was a member of the Faith Fellowship Church in Johnstown, the Full Gospel Businessman’s Association and had been a Boy Scout leader. Surviving are his wife Kathryn (Bolen) Thompson; son, Kerry L. Thompson (Steve Cox); step-children, Elizabeth, Kirsten and Mathew Upchurch; brothers, Everett Thompson (Betty); Glenn Thompson (Carol); grandchildren, Everett Cox, Patrick Sullivan and Stephanie Sullivan and step-grandchildren, twins, Chase and Tyler Upchurch. In addition to his parents, he was preceded in death by his first wife, Frances Kay Thompson and his daughters, Kimberly G. Taylor and Barbara L. Sullivan. Memorial contributions may be made to Hospice of Central Ohio. and Frances B. (Benson) McFarlane. David Barclay McCualsky, 59, of Newark, died Sunday, February 24, 2019 at his home. He was born May 2, 1959 in Newark to James William and Rebecca Ann (Dyer) McCualsky. Newark – Jerry W. Victor age 57 passed away at home on Feb. 14, 2019. He was born on May 23, 1961 to the late James E. Victor and Betty E Victor (Radcliff). He has one sister Sharon A Decker of Hanover, Ohio and one Brother John A. Victor of Newark, Ohio. Many nieces and nephews. Memorial Services Monday Feb. 25th at 4 PM at Church of God 675 N. Cedar St. Newark, Ohio. Brucker and Kishler Funeral Home is assisting. Shelba Jean Anderson, age 74, of St. Louisville, passed away on Wednesday, February 20, 2019 at the Selma Markowitz Care Center. 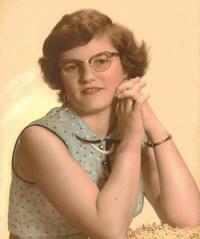 She was born on August 31, 1944 in Nashport, OH to the late Robert and Esther (Bohr) Hewitt. Shelba is survived by her loving husband of 57 years, Marvin F. Anderson; children, Vickie McCarty, Richard Anderson, and Crystal Anderson; 7 grandchildren; 13 great grandchildren; siblings, Vickie (James) Schepler and Ronnie (Judith) Hewitt. She also leaves behind several nieces and nephews. In addition to her parents, she is preceded in death by her brothers, Ralph, Bobbie, Jerry, and Mike; and sisters, Judith and Dixie. A funeral service will be held at 1pm on Monday, February 25, 2019 at Brucker Kishler Funeral Home, 985 N. 21st Street, Newark, OH 43055. Family will greet friends from 2-4pm on Sunday, February 24, 2019 at the funeral home. Shelba will be laid to rest at Barnes Cemetery and services will be officiated by Pastor Jeff Smith. 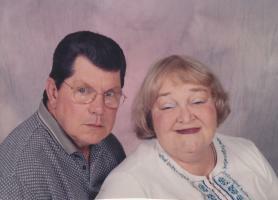 In lieu of flowers, donations in Shelba’s memory can be sent to Hospice of Central Ohio, PO Box 430, Newark, OH 43058.